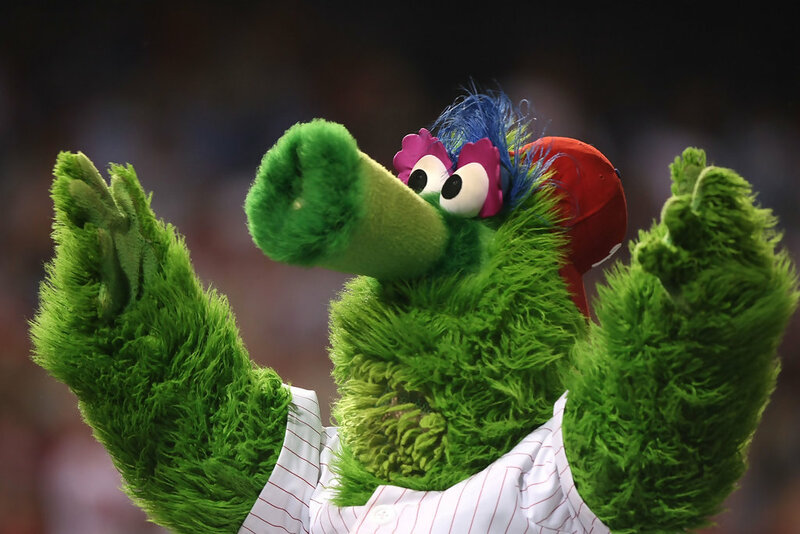 And so it was that I found myself on the highway for a weekend of travel to the our-burbs of Philadelphia and back, to venture to that most strange of environments: my wife’s high school class reunion. Not just any reunion either, but her sixteenth class reunion (her class did not have the more traditional ten or even fifteen year event). A night of merriment with strangers whose sole connection is the tenuous relationship they have had with my spouse so long ago that had a child been born on the day of their last commiseration, said kid would be preparing for college themselves. And atop that, it was on the night of game two of the ALDS is which the Tigers were playing the perpetually underdog Oakland A’s. If ever there was cause for bourbon, this may be it. Much to my surprise, this is not how events went down. The reunion itself was quite pleasant and low-key, and I was introduced to several wonderful people I may not otherwise have met. I found myself engaged in conversation with some truly interesting individuals, whose acquaintance I am pleased to have made. Most importantly, my wife enjoyed herself thoroughly, and got to see many old friends. And as a bonus,the event was at a sports bar, so I still got to see the game, even though a 1-0 loss was hardly what I wished for. On the way back on Sunday, we stopped at a Pennsylvania liquor store, to pick up some new spirits. 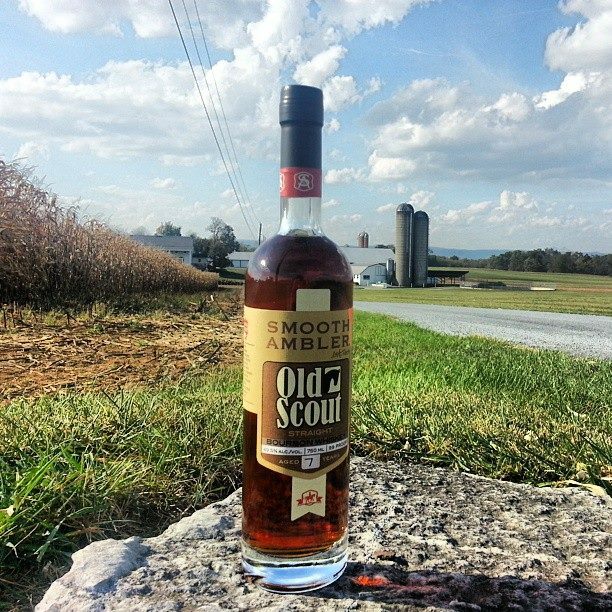 One that caught my eye was the Smooth Ambler Old Scout 7 Year, from West Virginia. A quick bit of research online told me that initial reviews were good, and that it would make a good Sunday drinker. I picked up a bottle, and rambled on. We headed west to visit with my mother-in-law in southern Pennsylvania, bottle in tow, and took a scenic drive through the Pennsylvania countryside. The sky was blue and the day was a beaut. When we finally arrived at her house, we gathered with more family in anticipation of a well-cooked meal, and broke open the bourbon. Myself, Jen, her mother, her aunt and her grandmother (!) all poured a glass of the Smooth Ambler. We were pleased. My take: The Smooth Ambler 7 year has a punch right out of the bottle. At 99 proof, that is to be expected – the nose has some serious first-take burn. Then, the alcohol gave way to earth tones, particularly rye, as well as cinnamon, nuts, oak and even a bit of mint. The taste was loud and proud. It starts with sweet spots of honey, charred sugar and caramel, and transitions to a pepper and apple rye. And there’s that mint again. The finish is long and hinted of coffee and more pepper. Finally, a cinnamon and oak wash come over, as the finish dissipates.